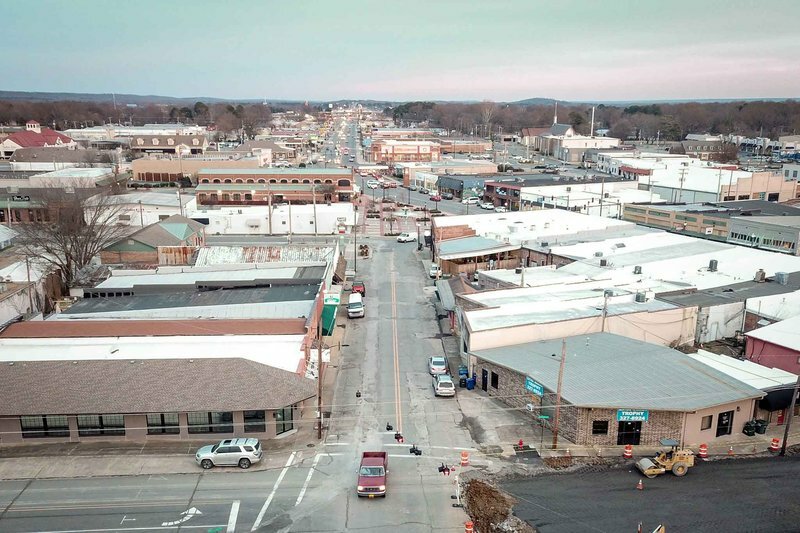 In conjunction with Conway Corporation and other utility companies, the City of Conway is working to complete a four-phase infrastructure improvement project in downtown Conway. This map is intended to communicate the order in which the roads will be worked on. This map doesn’t indicate intermittent closures of streets, sidewalks, and parking. Excavation work is already underway on Chestnut Street from Van Ronkle Street to Oak Street (Phase I). 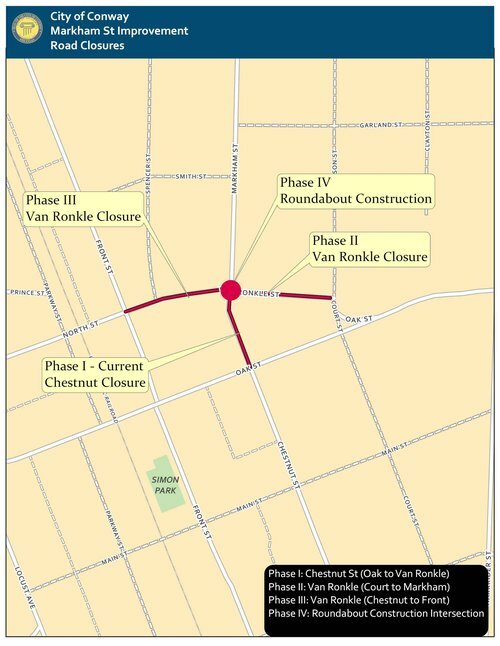 Starting Tuesday, January 29, Van Ronkle Street will be closed to all thru traffic from Harrison Street to Chestnut Street (Phase II). Street parking will also be closed. While wheelchair access will be limited, sidewalks will remain open on north side of Van Ronkle Street. Businesses will remain open during this time. Keeping small business owners informed will be an ongoing priority for Mayor Bart Castleberry. Before the transportation department begins work on Phase III and Phase IV, the Office of the Mayor will coordinate with the Conway Downtown Partnership to communicate developments that may impact small business owners. If small business owners need assistance during specific dates, Mayor Castleberry encourages them to contact our transportation department at 501-450-6165. Special accommodations can be made in the event of a special delivery or important event.